HARNESSING the power of hydrogen was one of many renewable energy technologies discussed at yesterday's Central Regional Forum held at the Gladstone Entertainment Convention Centre. 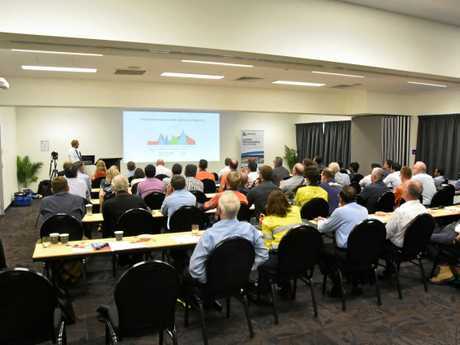 The forum, hosted by the Queensland division of Engineers Australia, focussed on energy opportunities in Central Queensland and future energy policy. 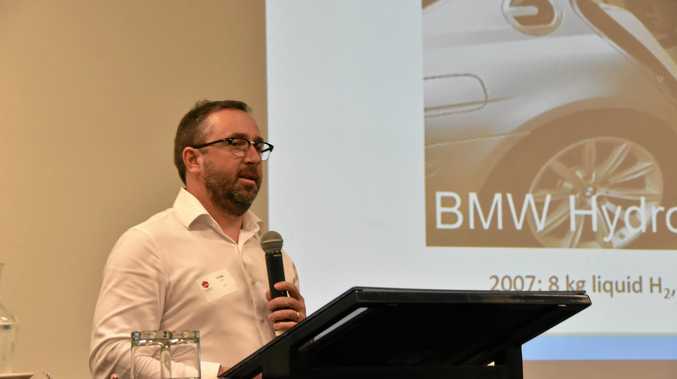 Several guest speakers attended the forum, including Dr Michael Dolan, the principal research scientist at CSIRO, who discussed the potential of hydrogen renewable technology and the opportunities for Central Queensland. Dr Dolan said he believed hydrogen could deliver the next LNG-style boom to our region, as Gladstone already had infrastructure in place to handle the industry. "You've got the facilities required like a deep-water port and a skilled workforce," Dr Dolan said. "You couldn't necessarily pull a hydrogen ship up to an LNG port and start putting hydrogen in because they're slightly different. "But a lot of that know-how is what I'm referring to - Gladstone already handles ammonia so you've got familiarity with that. "There's also a close proximity to the energy resource - you need primary energy to make hydrogen, which could be solar power. "To the west of here we've got a great solar resource that could be harnessed." The building blocks are already in place to make hydrogen without any carbon emissions. This can be done by electrolysis, where electricity used in the process comes from a renewable source. Dr Dolan said the demand for hydrogen fuel will only increase, especially in Asia and Europe. "We're seeing very rapid growth in Japan, Korea and China around using hydrogen to replace nuclear energy, driving down coal and going to cleaner energy sources," he said. "So that's a transition that's happening over a period of time." Dr Dolan said the future use of hydrogen as a fuel ultimately came down to the economics. "It's similar to the way LNG started up - you don't start up an LNG industry unless you've got someone who needs it," he said. "It's going to have to be a very collaborative approach so you wouldn't start making renewable hydrogen or renewable ammonia and sending it away unless you know there's customers for it. "The LNG industry is a great model and Gladstone has already gone through that... all that experience you've got can be harnessed to start transitioning. "It's not necessarily replacing LNG but something that could happen side by side. "Technically it can be done, it's just does the business case makes sense because you're talking about a multi-billion dollar investment to get it started and a lot of time. "You don't do that unless you've done your numbers."